Welcome to the Harvard Class of 1980 website! The HAA has just added many new features to the classes' webpages including the ability to list books and publications, create newsletters, register for alumni activities and send messages to our class. We will introduce these features in the next few months. 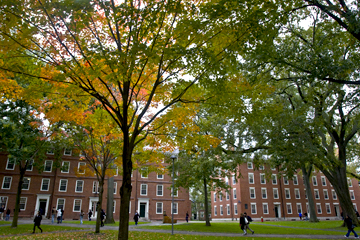 The Harvard Class of 1980 now has its own group on Facebook. Click here to join. We've got more than 300 members! The "unofficial" 35th Reunion photograph can be purchased from Dorian Color of Arlington, MA. The cost is $15 plus shipping ($7). Click here to be directed to the Dorian Color website. Attention you most talented Class of 1980! We're looking for artists, ballerinas, creators, daredevils and exhibitionists (within reason!) of all stripes to participate in our first ever online Class Works exhibition. So, whether you delivered a TED Talk, or you're a violinist with a community orchestra, or a documentary film maker, or an author of books or scientific papers, or a performance artist, or simply created a video selfie, we'd like to feature your work in our online exhibition. We've set up our own Class Works YouTube channel and we'll be constantly adding your videos to the channel. At previous reunions, the presentation of Class Works was the highlight for many, but we were always constrained by time and cost. Now, with our virtual exhibit, there are few limits to the breadth, depth, or length of your contributions to the Class Works. Excerpts from the 35th Reunion Memorial Service were recently uploaded to the channel. When you're ready to upload your contribution, email Deb Vogel for easy-to-follow instructions. If you already have a YouTube channel of your own, we can even link to it on our page. You can visit the YouTube channel for Harvard ’80 Class Works. Thanks for your help in this project!